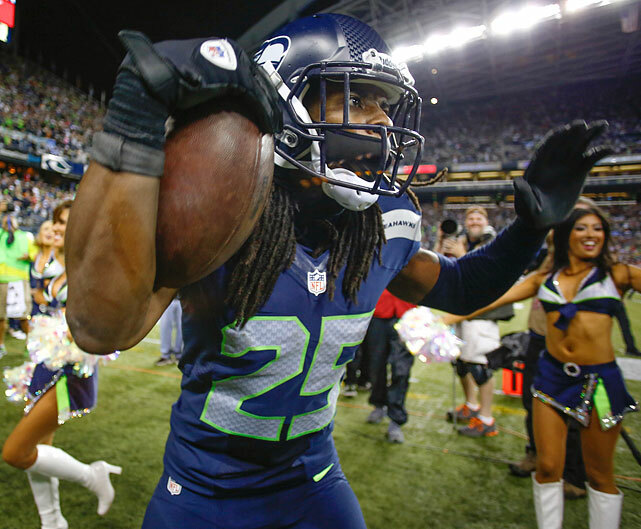 Seattle Seahawks defensive back Richard Sherman won the Madden NFL 15 Cover Vote, topping Carolina Panthers quarterback Cam Newton in the finals as the winner of the fan-voted cover. Superstitious fans of the Seahawks likely cringed at the news while fans of the Panthers probably breathed a sigh of relief. 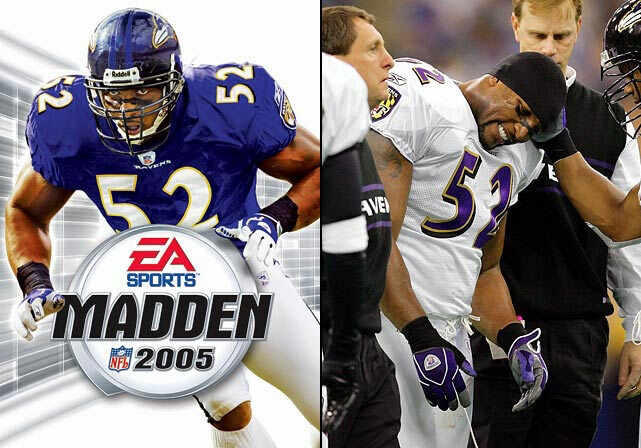 If you're not familiar with it, the Madden Curse is the phenomenon where whomever is on the cover of the game suffers at least a season, if not a career, collapse. Here's a look at the progression of the Curse. 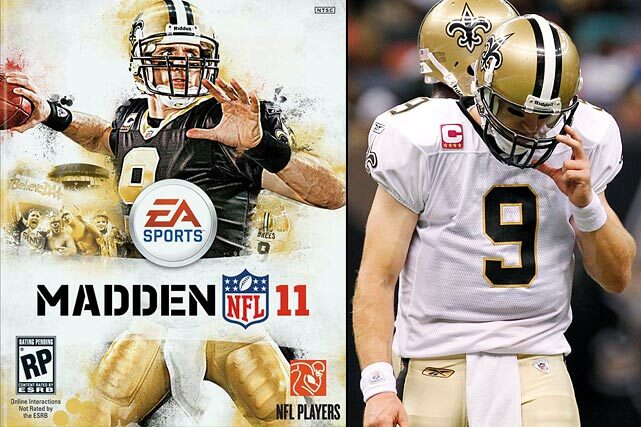 NOTE: Each Madden cover is dated a year ahead of its actual release. 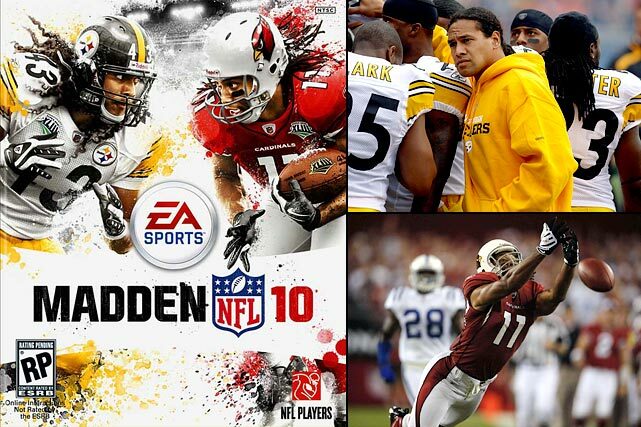 For example, Madden 99 was available prior to the 1998 season and Madden 13 prior to the 2012 season. Hearst appeared on the PAL (Phase Alternating Line) cover, which is a version of the game available to most countries outside of North America. 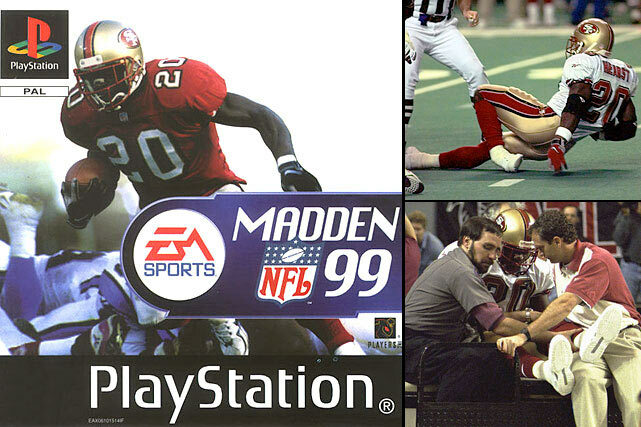 Hearst went on to have a career-season, but at the start of the NFC Championship game against the Falcons, he broke his left ankle after his foot got caught in the AstroTurf of the Georgia Dome. He missed the next two seasons as a result. 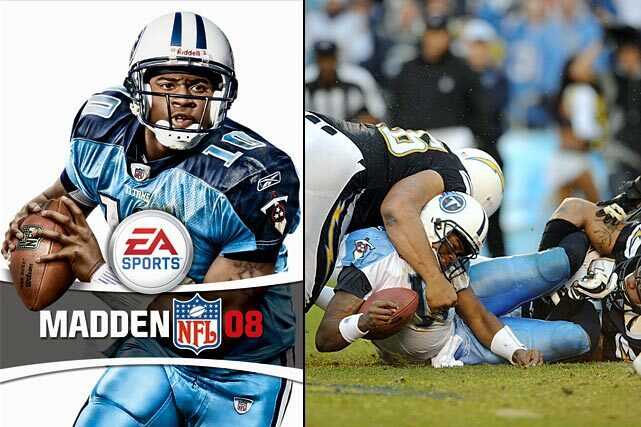 If you look closely, you can see Sanders in the background of the Madden cover. The electric Lions running back would announce his retirement before the 1999 season and never return to the NFL. 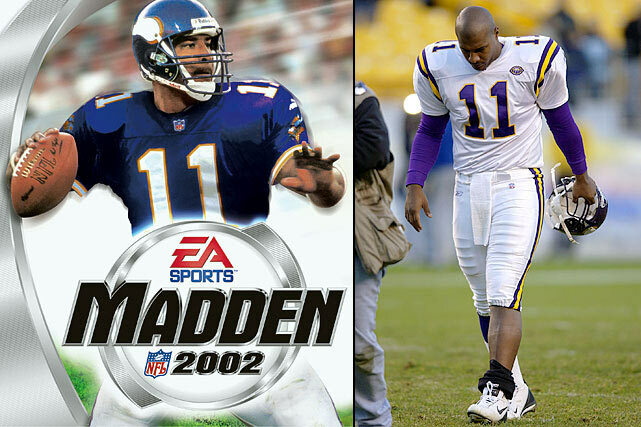 Levens appeared on the PAL version of the 2000 game, and although he had a decent season, the Packers failed to make the playoffs for the first time in seven years. 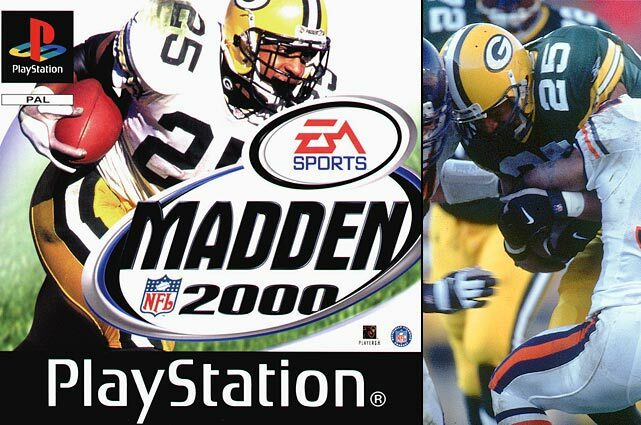 Levens succumbed to injury the following year, playing in just five games, and the Packers released him in 2001. 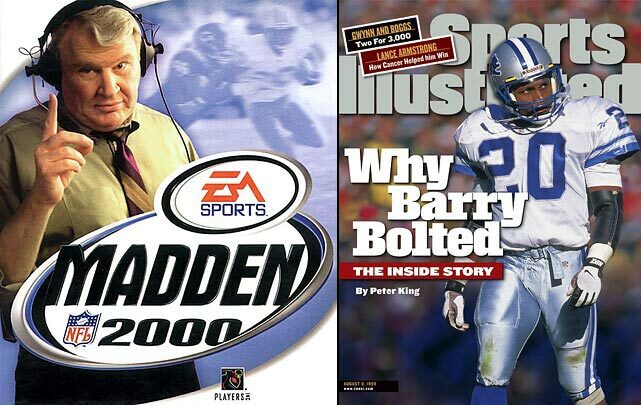 George actually had a career-year following his cover appearance in 2000 (1,962 total yards and 16 TDs). 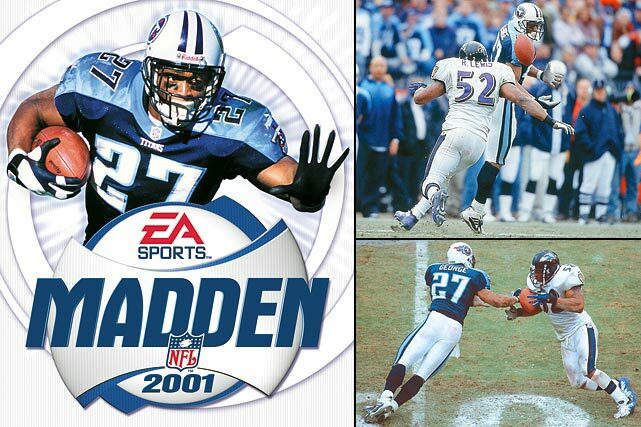 However, in a Divisional Playoff game against the Ravens, George bobbled a pass that was intercepted and returned for a touchdown by Ray Lewis in the fourth quarter, sealing a 24-10 loss for the Titans. In 2001, George rushed for less than 1000 yards for the first time in his career and scored just 5 TDs. He never averaged better than 3.4 yards per carry in any successive season. After a great 2000 season, Culpepper struggled in 2001. He threw 14 touchdowns and 13 interceptions before hurting his knee in Week 13 and sitting out the rest of the season. Culpepper then threw a career-worst 23 INTs in the 2002 season and wound up having a mess of a career later in the decade, including multiple knee injuries. Faulk and the Rams offense was dominant in 2001, but a nagging ankle injury slowed the All-Pro back and St. Louis' offense suddenly became less dangerous. 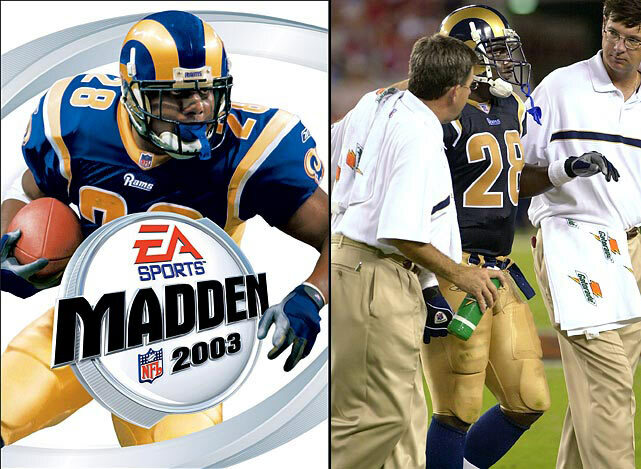 Faulk ran for just 953 yards in 14 games and the Rams went from 14-2 in '01 to 7-9 in '02. Faulk played in a career-low 11 games in 2003 and began having knee issues that would end his career for good in 2005. 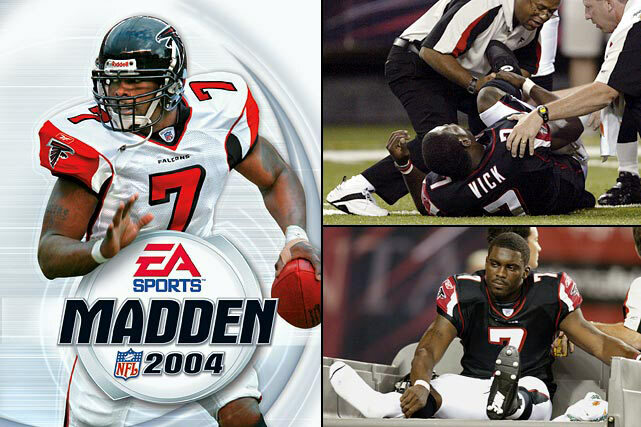 Immediately following the game's release, Vick broke his leg in a preseason game and didn't return until there were just five games left in the season. The injury spurred a serious debate about the necessity of the preseason, and the Madden jinx was suddenly being discussed everywhere. After a dominant campaign in 2003, which included six interceptions, Lewis had a so-so season in '04 with zero picks. The Ravens failed to make the playoffs for the first time in four years and Lewis missed the last game of the season with a wrist injury. He played a career-low six games in 2005. 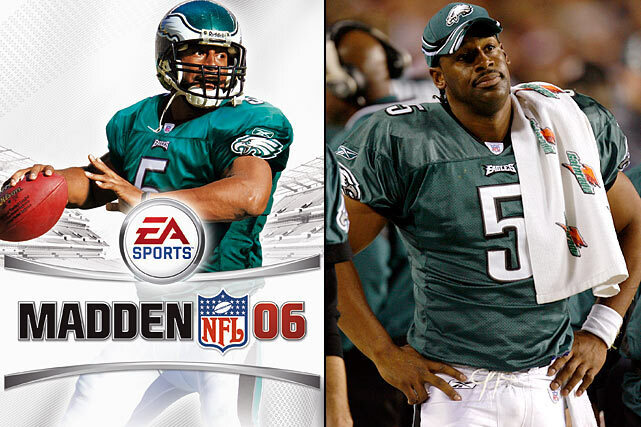 McNabb led the Eagles to the Super Bowl in 2004, but 2005 was a complete disaster. He had multiple injuries, including a sports hernia that finally ended his season after nine games. In 2006, McNabb tore his ACL and meniscus and played just 10 games. 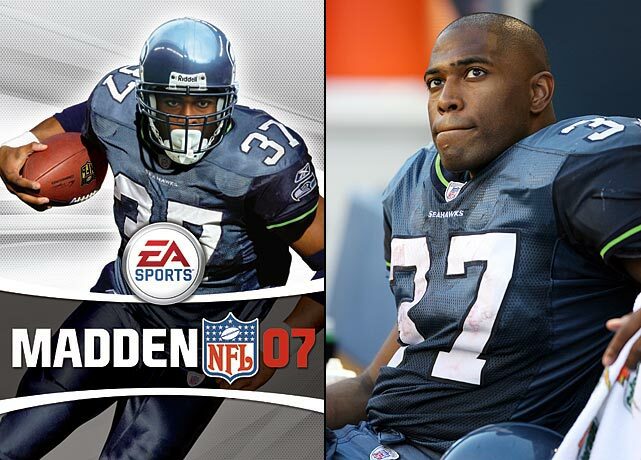 Alexander set the NFL record for touchdowns (28 -- since broken) and led the Seahawks to the Super Bowl in 2005. He fractured his foot in 2006 and ran for just 896 yards and seven touchdowns in 10 games. His numbers dipped even more in '07, and he retired following a brief stint with Washington in 2008. Young graced the cover following his rookie season in '06. Suffering a true sophomore slump, Young had nine TD passes and 17 interceptions in 2007. On the ground, Young rushed for 157 fewer yards, his Yards Per Carry dropped 1.5, and he scored just three rushing touchdowns after having seven his rookie year. In his first postseason game, Young threw for 138 yards with no touchdowns and one interception, while rushing for just 12 yards, in a 17-6 loss to San Diego. In 2008, Young wound up playing just three games, starting one. In his final season with Green Bay in '07, Favre threw 28 TD passes and 15 interceptions. Acquired by the Jets in the summer of 2008, Favre started well; in Week 4 he threw a personal best six touchdowns against the Cardinals. By Week 12 the Jets had an 8-3 record, but missed the playoffs after losing four of their final five games, in which Favre threw nine interceptions and only two touchdown passes, bringing his season total to 22 of each. 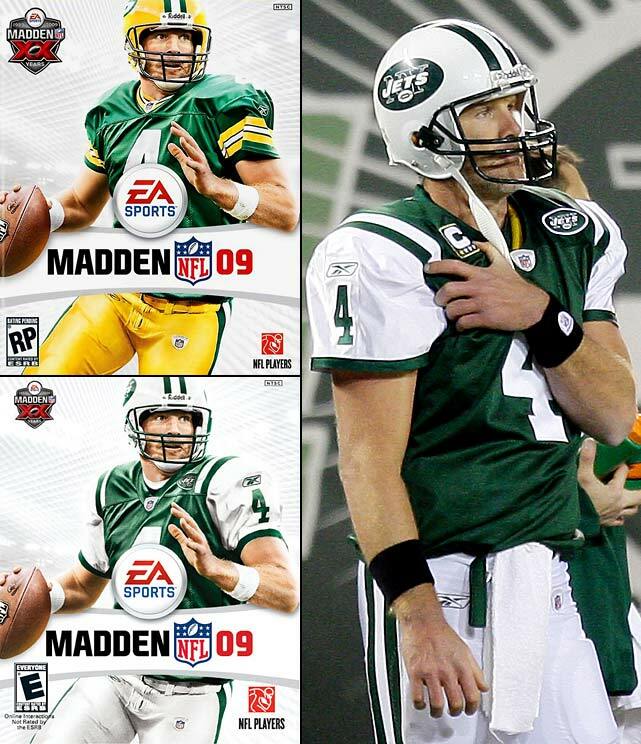 It was later revealed Favre had been playing with a torn biceps tendon late in the season. Polamalu finished the 2008 season with a career-high seven interceptions and led the Steelers defense to its second Super Bowl victory in four years. Late in the first half of the Steelers-Titans 2009 season opener, Polamalu, who was having an All-Pro first half, suffered a sprained MCL in his left knee after 262-pound Titan Alge Crumpler fell on his leg. Polamalu played in just four more games for the season. Fitzgerald posted lower receiving yards (1,092) in 2009 after consecutive 1,400-yard seasons in '07 and '08, but he did manage to score a career-high 13 TDs. Coming off a season that brought the Saints their first Super Bowl victory, Brees managed to throw for the second-highest total yardage in his career (4,620) in 2010 and was one touchdown shy of tying his career high (33). He did, however, throw a career-worst 22 INTs, 18 being the previous high. Although Brees made it through the whole season, he did admit to having played through a troublesome tear in his knee. The Saints also suffered a stunning defeat to Seattle (7-9) in their Wild Card Playoff game, through no fault of Brees though, who completed 39-of-60 passes for 404 yards and two TDs. 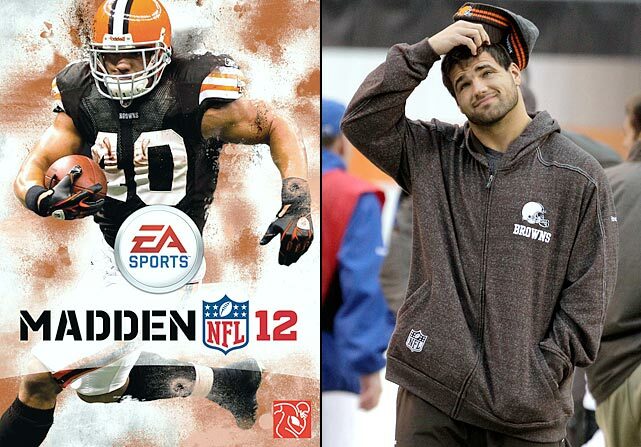 Hillis now wishes Michael Vick had beaten him in the Madden 12 cover vote. Following a breakout season of 1,177 rushing yards, 477 receiving yards and 13 total touchdowns, Hillis had a dreadful year with just 717 total yards and three TDs. He sat out one game with strep throat (on the advice of his agent) and missed five more with a nagging hamstring injury, while at odds with the Browns over a new contract all season. As Hillis stated following the 2011 season: "Things didn't work in my favor this year. There's a few things that happened this year that made me believe in curses. Ain't no doubt about it." 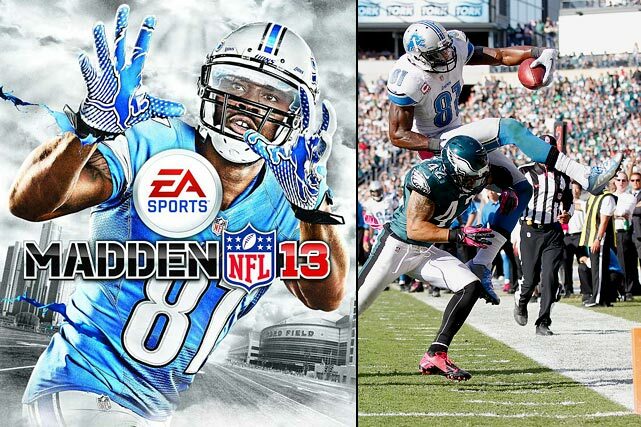 "Megatron" may have had a monster year in receiving yards (1,964), nearly 300 more than the previous season, however, he managed to score just five touchdowns in 2012 after having scored 16 in 2011. In 2013, Johnson returned to double digits with 12 touchdowns. 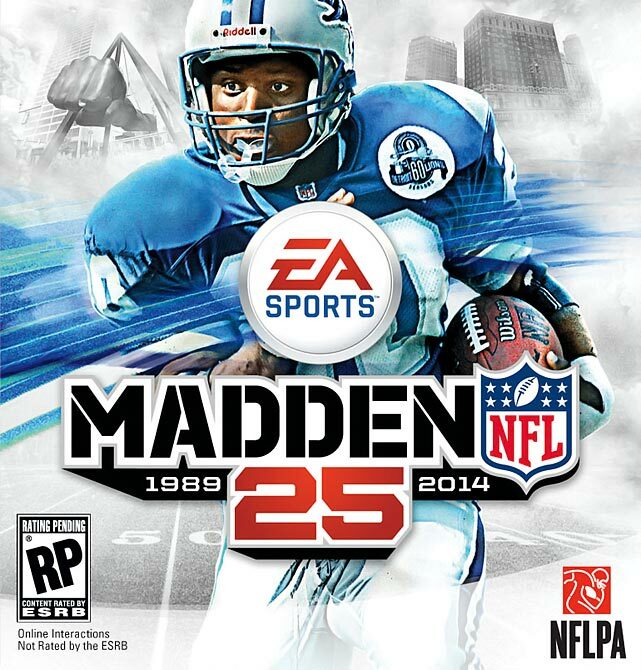 Adrian Peterson should be relieved that the fans voted Barry Sanders over him to be on the cover of the 25th edition of the Madden NFL video game.